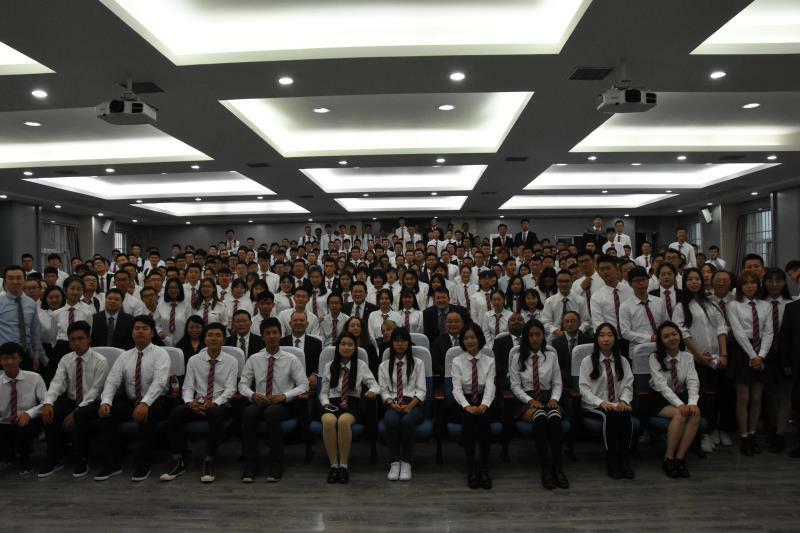 At 4:00 p.m, On Sept. 25, 2018, AnDe College of Xi’an University of Architecture and Technology (XAUAT) held a Joint Opening Ceremony with University of South Australia (UniSA) for cohort 2018 freshmen and newly enrolled postgraduate students on XAUAT Caotang Campus. 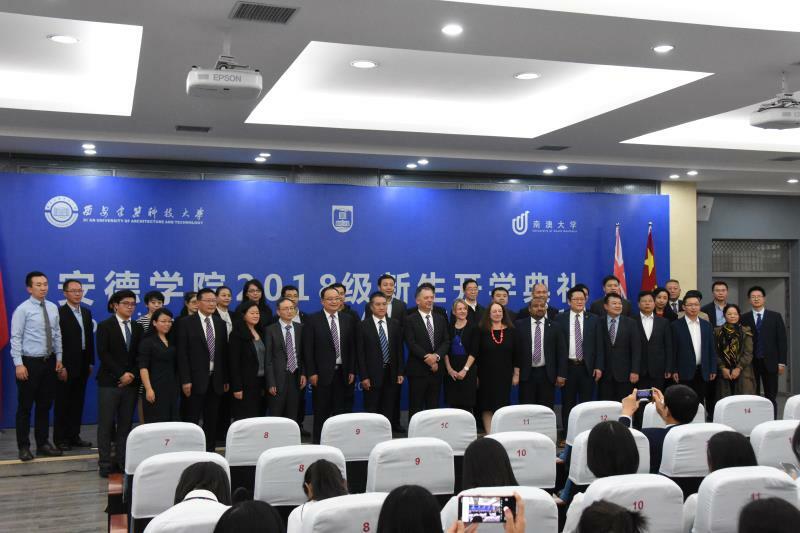 The event was presided over by Mr. XIONG Zhongming, Executive Director of AnDe College, Mr. NIU Ditao, Vice President of XAUST, Mr. WANG Shusheng, Dean of AnDe College, Mr. LIU Yanzheng, the Party Branch Secretary and Deputy Dean of AnDe College, Prof. Alan Evans, UniSA Provost and Chief Academic Officer, Dr. Laura-Anne Bull, Acting Vice Chancellor, School of Information Technology Engineering and Environment, University of South Australia, Mr. Roger LI, President of AEMG, and teacher representatives, 262 freshmen and 28 postgraduate freshmen of AnDe College attended the meeting. 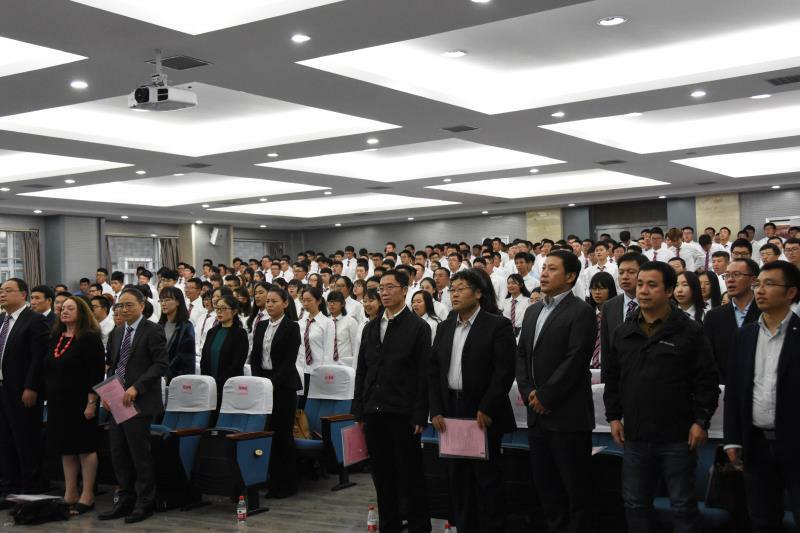 Firstly, all the members of the conference stood up and paid a silent tribute to Mr. XU Delong, Academician of the Chinese Academy of Engineering, famous expert on inorganic metal materials, former Vice President of the Chinese Academy of Engineering and former President of XAUAT, who passed away on September 21, 2018. 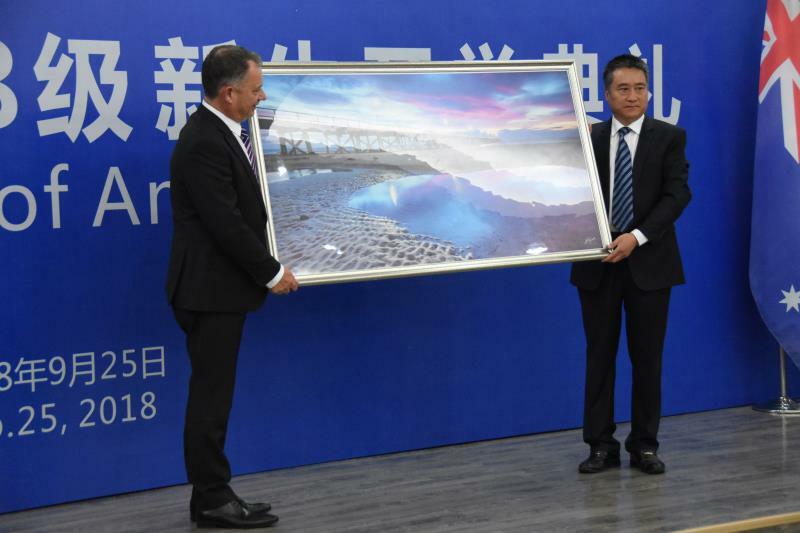 After playing the national anthems of both China and Australia, Prof. Alan Evans, UniSA Provost and Chief Academic Officer, gave a high degree of recognition to the achievements of the joint efforts of the UNISA, AnDe College and AEMG over the past year, and thanked the students for choosing AnDe. He also introduced the geographical location, study and living conditions of the UniSA, the ranking of the university and the urban cultural activities of Adelaide. It was hoped that the students would experience the diverse cultural atmosphere of the UNISA in the future. The students focused on the speech in case of missing the wonderful part. 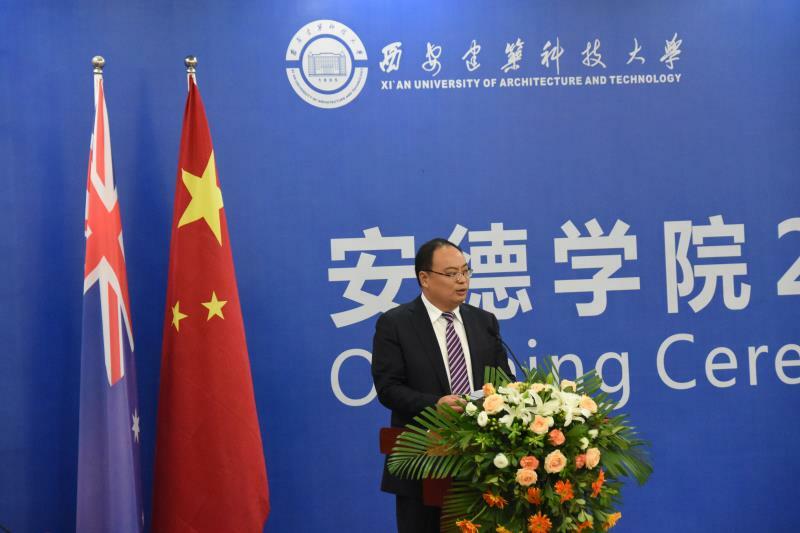 Mr. WANG Shusheng, Dean of AnDe College, expressed his gratitude to the UniSA and AEMG and hoped the three parties would play their respective advantages in the future cooperation and work together to explore a new mode of cooperation in running AnDe College, and hoped that students would learn more and have a foothold in international education. 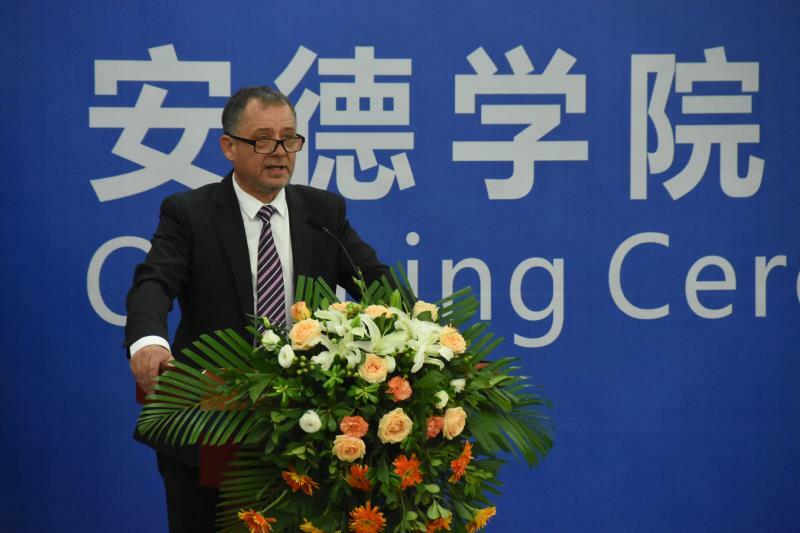 Mr. Roger LI, President of AEMG, introduced the AEMG characteristic English course and abundant student activities, calling on students to be emissaries of cultural exchanges between China and Australia. 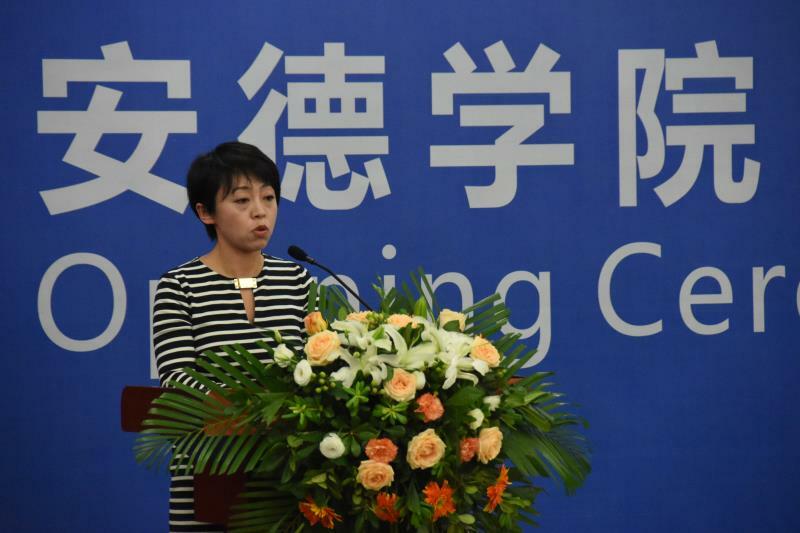 Ms. HUANG Ying, AnDe College teacher representative, and the student representatives shared their reports on teacher’s expectations, and study experiences, feelings. 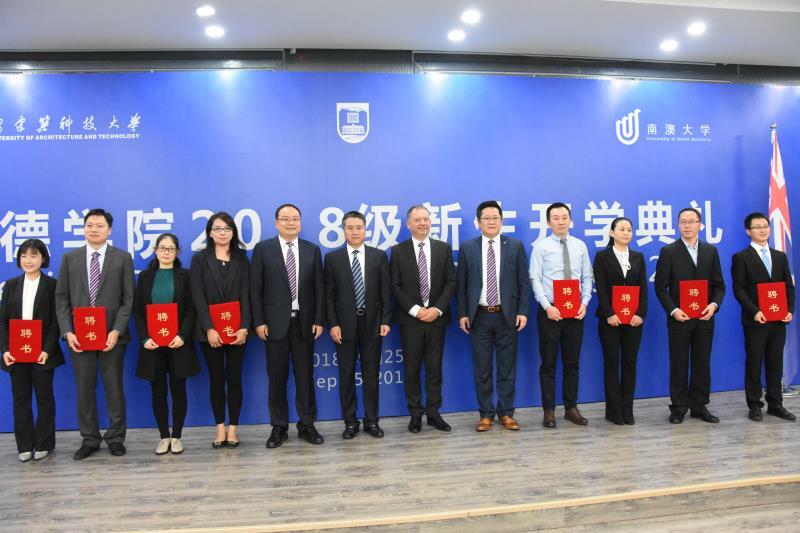 The leaders from the UniSA, AEMG and XUAST awarded letters of appointment to the teachers of 2018 grade, hoping that teachers would love their job and provide more assistance for the students. 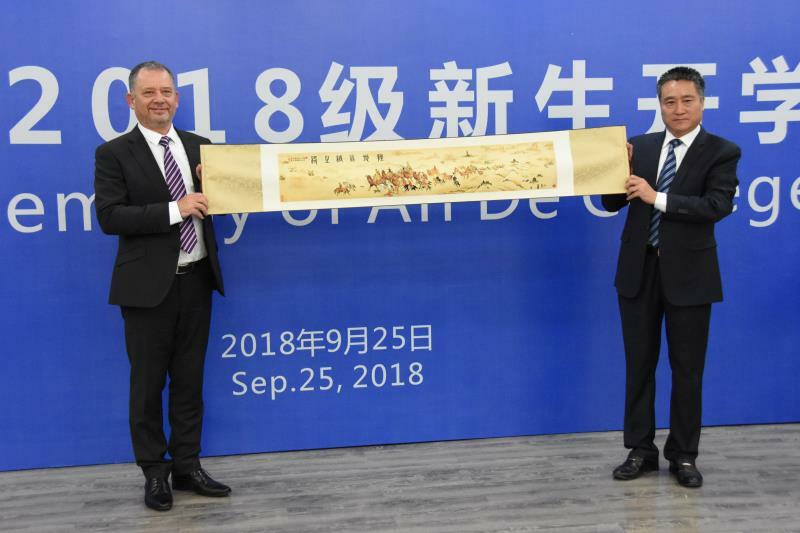 In a cordial and friendly atmosphere, AnDe College and the UniSA exchanged gifts, hoping that under the joint efforts of the three parties, the development of AnDe College will go further and set up a model for all the Sino-Australia joint schools.